A VIN Check or a Vehicle History Report (VHR) is very important especially if you are planning to purchase a used car. In Australia, used cars are the “go to” option of those who are tight on the budget but needs a car for transportation and personal use. But even though you are purchasing a used car, it is still important that you learn about its history to avoid any problems in the future. Dealing with fraud or unclaimed damages is not something that you want to deal with especially now that you are trying to be tight on your expenses. Companies like Check VIN is one of the most trusted when it comes to providing PPSR and REVS check certificates and reports. Check VIN is one of the reputable companies because of their fast, reliable, and safe reports about different vehicles all over Australia. They offer services and Australia-wide coverage including New South Wales, Victoria, Queensland, Western Australia, South Australia, Northern Territory, Tasmania, and A. Capital Territory. The Check VIN reports are instantly available on their website but it can also be sent to emails that are specified during the checkout process. This is where the finances or monetary debts associated with the unit are being listed. It can also include information of the secured parties and their contact details. Theft Records. 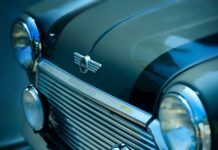 Whether it’s stolen VIN, or number plates theft, or even engine thefts, it is important that you know if the vehicle has been through this complicated process and whether the problem was resolved or not. Vehicle Details. This is the portion where you can check the identification number, the year, make and model of the vehicle, as well as the body type and its classification. The engine number and the compliance plate date are also listed here. Make sure that every information provided are true and correct and it matches the vehicle that you want to purchase. Written-Off Records. Remember that the history of a vehicle can greatly affect its value. So when the car has been through collision, storm or flood damage, and also previous inspections, this will tell you whether the car was abused or was well-taken cared of. Registration Details. This will inform you whether the car is registered on a state or a territory. This is also where you can find the number plate as well as the Rego expiration date. It is important that you understand how to interpret the information provided to you so you can make a fair decision before you go and purchase the vehicle. For a limited time, Check VIN is currently offering only 5.90 for a detailed report about the vehicle’s history of the car that you are planning to purchase.